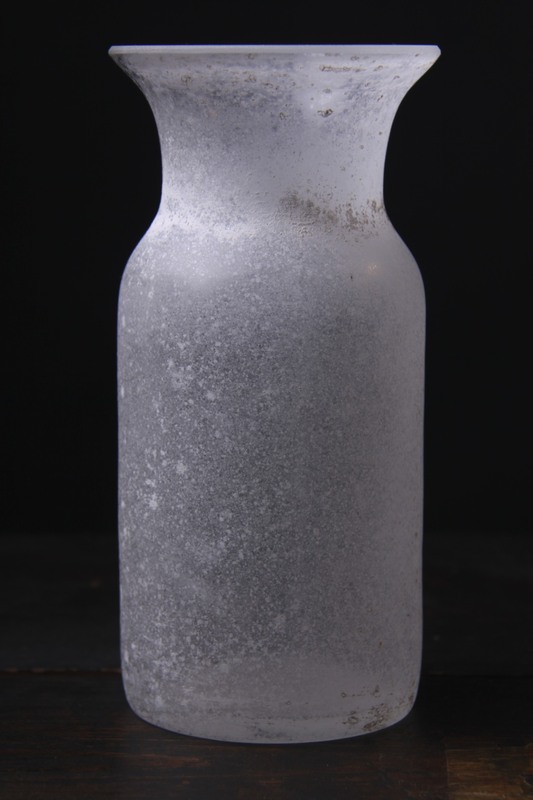 This is a Beautiful Art Glass Mortar and Pestle, made in Murano, Venice, Italy circa 1950’s / 60’s. A Wonderful piece, the exact maker unknown but bearing the attributes of renowned makers AVeM, Seguso and Toso. 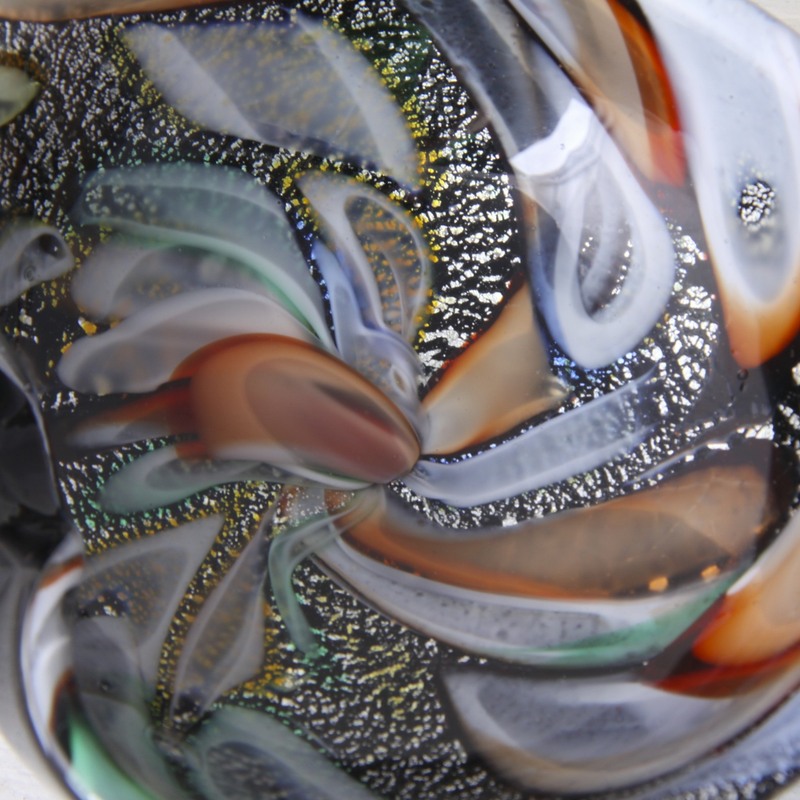 The mortar bowl has a fantastic organic form, beautifully curved like a shell. 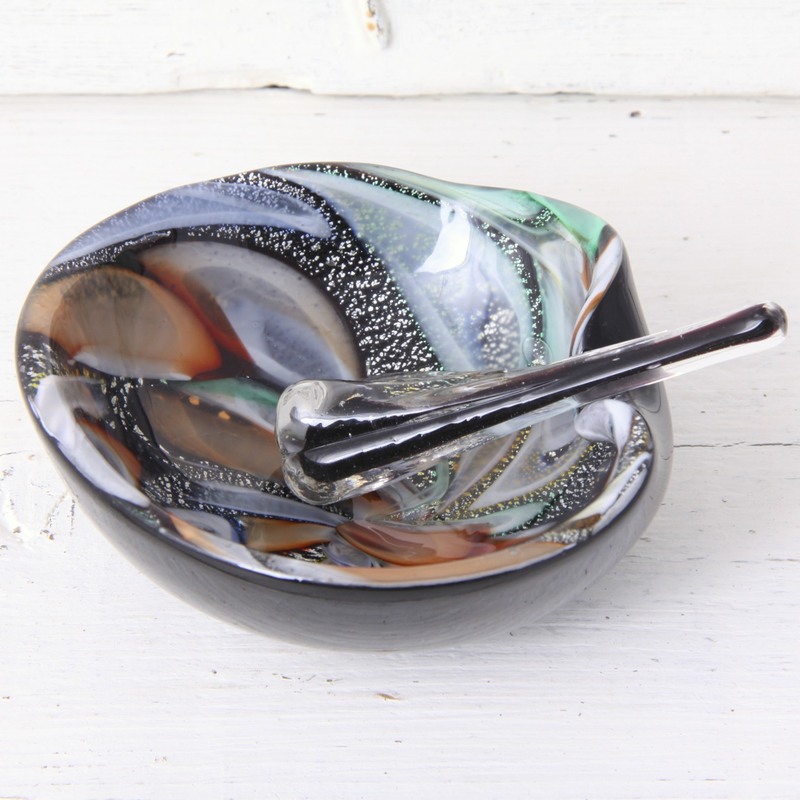 The outside is cased black glass, within the bowl are swirls of silver leaf inclusions and multicoloured Murrine canes. 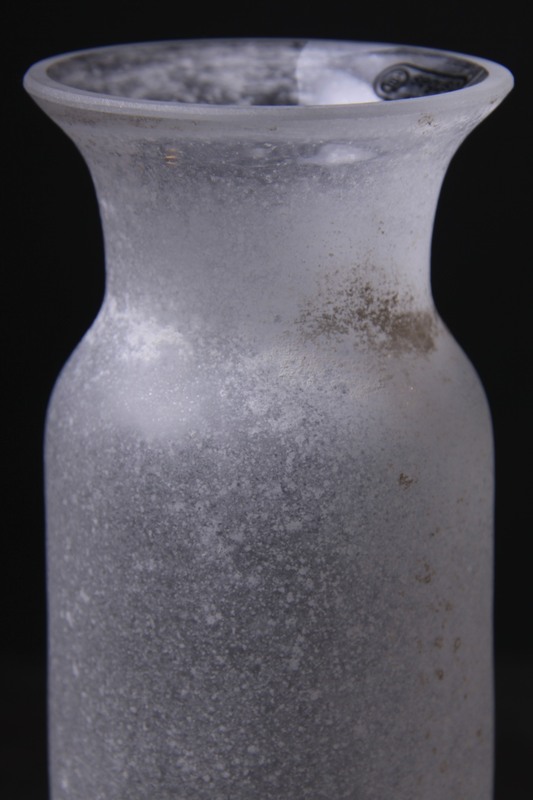 The pestle has been created using the Sommerso technique with black glass encased in clear glass in a stretched twisted club-like form. 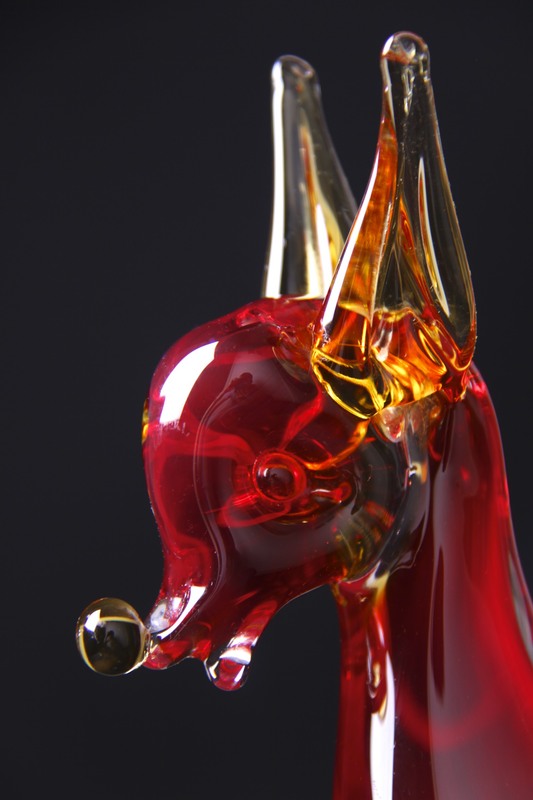 A Striking example showing the skill and craftsmanship of the master glassmakers of Murano. 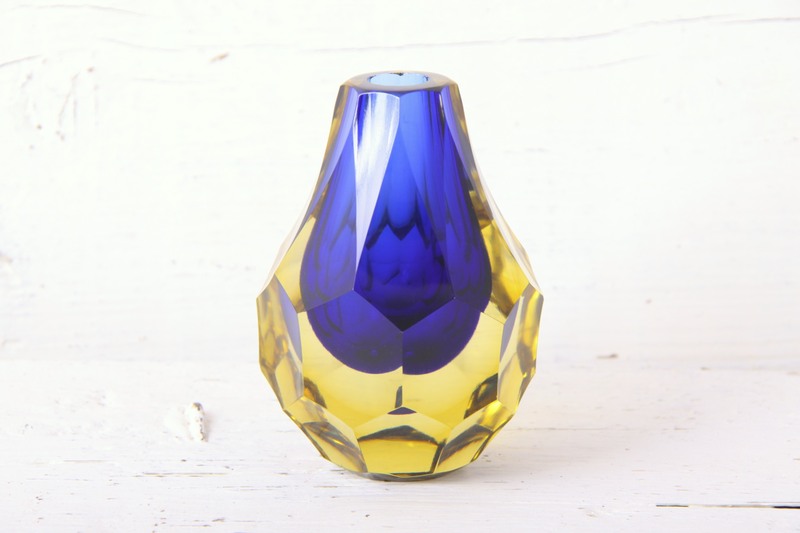 Would make a Great addition to any collection of Murano / Art glass, and would complement any retro, vintage, mid century, modernist, minimal or contemporary interior. 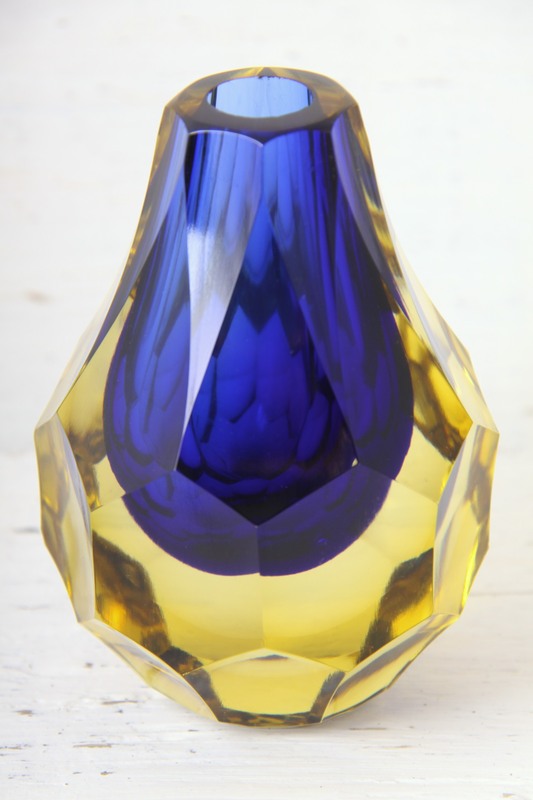 Still bears the original foil label on the base ‘Genuine Venetian Glass Made in Murano Italy’. The bowl is in Excellent Condition, some light age related wear on the base and in the pestle rest. Nothing to detract on display, the thin end of the pestle is rough, possibly from production, also doesn’t detract. The mortar measures 13 x 12 x 5cm / 5 x 4.5 x 2in. The pestle measures 10 x 2 x 1.5cm / 4 x 0.75 x 0.5in. 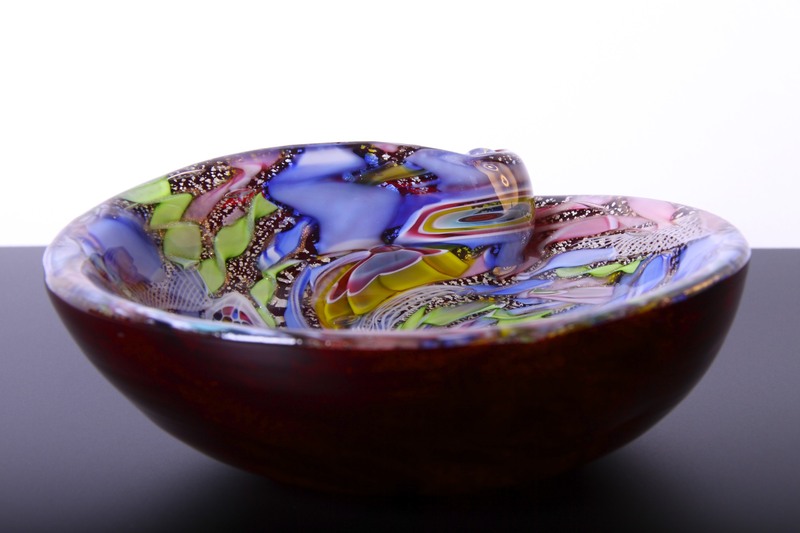 This is a Beautiful AVeM Murano (Arte Vetraria Muranese) red glass ‘Tutti Frutti’ scroll bowl / dish, Venice, Italy circa 1950’s. 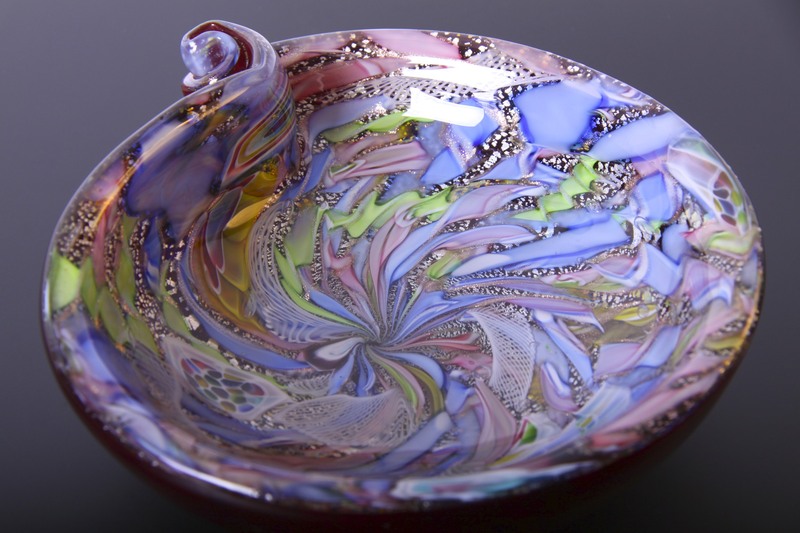 The exquisite myriad of glasswork includes silver leaf, Zanfirico lattice filigree, twisted ribbon canes, and copper Aventurine. 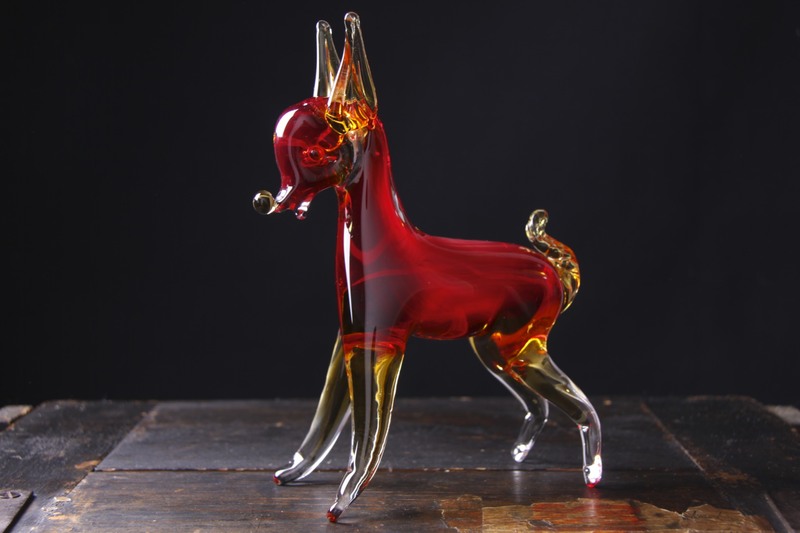 All set in a random form in clear glass, the outer being a rich red glass, which creates a lovely stunning background to the intricate craftsmanship. Measures 18 x 17.5 x 7cm / 7 x 6.75 x 2.75in. Weighing almost 1.5kg! In Excellent Condition, no marks, chips or scratches, the usual age related wear on the base, not visible on display.